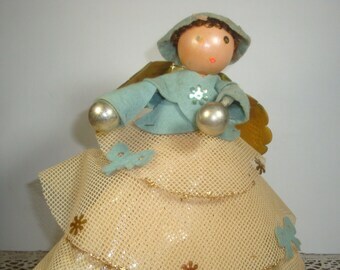 A cute vintage tree skirt, made of red felt with appliques. Gold rick rack trim around edges. Back side plain. 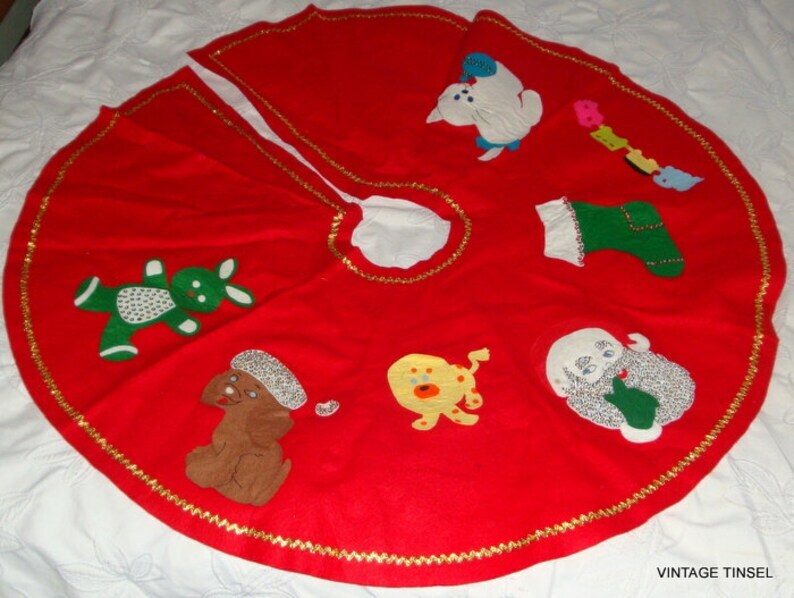 Appliques are Santa, bunny, dog, lion, train, stocking and cat with a ball of twine. All appliques have sequins except the train. Measures about 18" from center to edge. Overall in good used vintage condition. 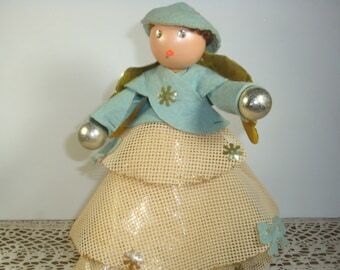 There are a few small stains, the most noticeable is on the Santa's face and above the Santa's face. No offensive odors. More tree skirts? I'll always combine shipping and I do ship worldwide. Questions? Please ask! Being sold as described above. Please view the photos as they are part of the description.